The Arrow DOGS of the World ETF may not be suitable for all investors. New funds have a limited performance record. Exchange traded products are bought and sold at market price, not NAV, and are not individually redeemed from the fund. Buying and selling shares generally results in brokerage commissions which will reduce returns. The market price may be higher (premium) or lower (discount) than the Net Asset Value (NAV). The fund’s portfolio may underperform its benchmark and/or other asset classes. The fund’s portfolio may underperform the general equity markets, or other asset classes, with the potential for greater individual security risk, asset class risk, and higher industry concentration risk than more broadly diversified portfolios. The fund may invest in large-cap, mid-cap, and small-cap securities. Investing in small-cap and mid-cap securities may have special risks, including wider variations in earnings and business prospects than larger, more established companies. International investments may involve additional risks, including, but not limited to, currency fluctuation, accounting methods, and geopolitical instability. Emerging markets involve heightened risks related to the same factors as well as increased volatility and potentially lower trading volume. Changes in laws, domestically or abroad, could result in the inability of the fund to operate as described in the prospectus. Narrowly focused investments may be subject to higher volatility. Seeks long-term capital appreciation that corresponds generally to the performance, before fees and expenses, of the AI Dogs of the World Index (ex. USA). The index selects the five worst performing countries where a return reversal or move back toward the mean (or average) is anticipated. The index has a contrarian approach that looks for deep value among a universe of 44 countries. The mean reversion anomaly is one of the oldest anomalies described by academia. It was originally discovered between stocks in one country, but subsequent academic studies have shown it also works on broad country market exposure, and its performance shows strong consistency. One fundamental reason to explain the mean reversion anomalies across countries is insufficient cross-border equity flows due to investors' fears of capital controls. Another explanation is behavioral biases in investors' behavior. The AI Dogs of the World Index was developed to exploit this anomaly. 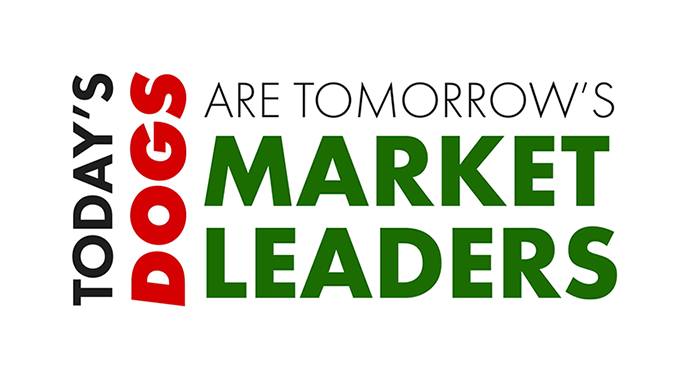 The Arrow Dogs of the World ETF provides investors a low cost and packaged solution to access this trading strategy. *30% of the overall allocation will be to the worst performing country. ³The Fund's investment manager has contractually agreed to limit expenses until 12/31/2019. Before waiver and reimbursement, the Fund's expenses were 3.38%. After the fee waiver and reimbursement of 1.74%, the Fund's expenses were 1.64%. 2Data reflects partial calendar year 1/2/2018-12/31/2018.